Puppets! An Early Literacy Tool. more readily talk to them – and sort of look on them as a peer. By sharing with a puppet, children use and build their language skills. Children can play with puppets and use them to tell stories. Again, this develops language and vocabulary. Children also learn about story structure – that stories have beginnings, middles, and ends. Adults playing with a child can help by elaborating on what a child says and using a variety of words. Have the puppets sing a song or, if you’ve got 5 little monkey puppets, help chant a rhyme! This develops phonological awareness skills (breaking words up in to smaller sounds) which helps later with sounding out words. 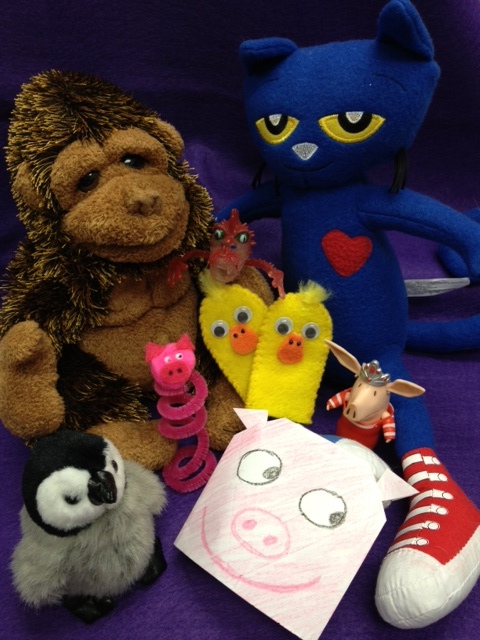 Children can use puppets to re-tell a story, demonstrating skills like sequencing (what happens next?) and comprehension. Children playing with puppets are growing their imaginations. 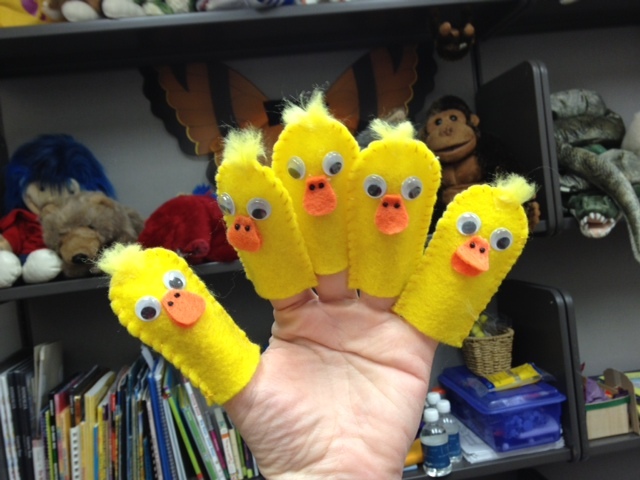 Here’s a great article from School Library Journal about using puppets in library storytimes and the early literacy skills kids are developing. Envelope puppets! Seal an envelope, cut it in half, draw a face on the plain side, and stick your hand in! Voilá! Instant puppet (see pig puppet in pic above). Dr. Jean has an example with a cool echo poem you can recite with them. And I originally got this idea from No Time For Flashcard’s post. Stick puppets! Collect all those popsicle sticks from summer and wash ‘em off. Cut out a picture from a magazine, print a picture off the internet, or draw your own and stick it on the…uh…stick. Done! Here are some printable images to use for a stick puppet retelling of the Very Busy Spider by Eric Carle. Sock puppets! Now THERE’S something you can do with all of those lonesome socks that have lost their mates. Draw on some eyes and a nose, or glue on some bits of felt or paper, and you’ve got a character. eyes at the dollar store. So this CAN be a very inexpensive puppet project. Who says puppets have to actually be puppets? If your child has a stuffed animal or six, make them talk! Ask your child to give his favorite stuffed friend a voice, and ask that friend questions! What does Theodore Bear like to eat? Where is his favorite place to eat it? Can Theodore Bear tell you the story of his family? There are LOTS more ideas for creating inexpensive puppets that I’ll be sharing in future posts. Do YOU have any great puppet ideas (either for using them with kids or making them) you’d like to share? Please do! I’m all ears!